Man of Random Science: The Spectrum of Scientific Inquiry — Explosions, Inc. Put you dreams in my hand so that I may crush them. 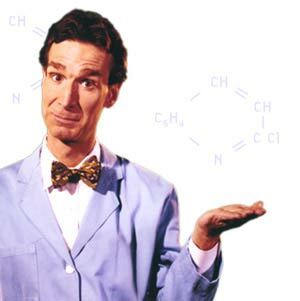 As someone who has been, for years now, essentially a professional Science Guy (not nearly on the level of Bill Nye, of course, but a man can dream) it might surprise some people that my background is not actually in hard science. In fact, neither is Aaron's. We both have oddly parallel histories when it comes to college education. Both of us have degrees in philosophy. Both of us later went back to undergrad for second degrees, mine in anthropology and his in music. Both of us went into informal science because of a deep love and appreciation for science and the scientific method even if our formal schooling wasn't in hard science. We're living, breathing examples of what we preach: that science is for everyone, whether or not you studied it specifically in school. As someone with a background in philosophy and what my favorite professor once called "the softest of soft sciences" I have a tendency to be more, shall we say, forgiving than some other science enthusiasts when it comes to social science. In America we seem to live in a perpetual cycle of the Powers that Be pushing for more scientists, more engineers, more people to build the future. And yet often anything but the hardest of hard sciences are left out of that push. I once heard someone give a speech that went something like "The future needs scientists. The future doesn't need anthropologists or archaeologists. The future needs scientists." Needless to say this pressed my buttons. That kind of statement is wrong on so many levels it's hard to even put it into words. 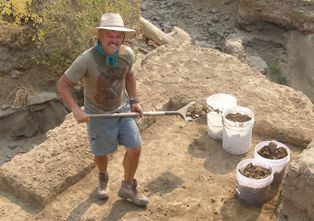 Firstly, anthropologists and archaeologists (who are a subset of anthropologists) are scientists. Secondly, the unspoken claim there is that the information uncovered by people in the soft sciences is purely academic, useless to the world at large. I hate to break it to people like this (okay, I don't really), but an enormous amount of basic scientific research, done by scientists in every field all over the world is that kind of "useless, purely academic" research that might never affect the world at large for good or for ill. Yes, a lot of it is extremely esoteric but all of it is worth learning in the pursuit of a greater understanding of our universe and our place in it. And I don't think it's useless to know, for example, who the first humans in the New World were and when and how they got here. Archaeology like that shines a light on human prehistory and the ingenuity of our species even in its infancy. At first we put New World human habitation at about 11-13,000 years ago based on the age of a culture we called the Clovis people. We figured they all used the land-bridge connecting what is now Siberia and Alaska to get here. Then, slowly but surely, mounting evidence pointed toward sites that predated Clovis, the so-called "Pre-Clovis" cultures. They were there earlier and their tools differentiated them from the Clovis. There are now an abundance of Pre-Clovis sites all over North America and some controversial but nevertheless compelling sites in South America that point to ancient people migrating down the coast of the Americas in boats at least 15,000 years ago, long before the land bridge was clear of ice. The waves were just gnlarier, man. How cool is that? The pyramids weren't even a dream in the mind of some pre-Egyptian child and human beings from Asia were coast-hopping their way down to Chile in handmade boats. How did they do it? Why did they do it? What pushed them to leave their homes and row thousands of miles to populate a new continent in a different hemisphere with a vastly different climate from the one they were used to? Archaeological findings like these provide perspective not just on humanity itself but on the very methods of science. Nothing is a purer form of the basics of science than the move from "Clovis First" to Pre-Clovis, now possibly even in flux to Pre-Pre-Clovis. A question was asked. Evidence was found that pointed to an answer to that question. The answer was accepted, tentatively, as with all science, and research continued. New evidence came to light, was disputed at first, worked its way through the gauntlet of peer review to acceptance, leading to a new normal, a new set of tentative truths about the world. And as long as archaeologists keep finding older sites and demonstrating their veracity this cycle of self-correction, science's ability to always make us a little less wrong about the universe, will continue. Of course, not all social science is that cut and dry. Anthropology as a whole takes a lot of flack, some of it deserved, for dipping its toes into unscientific and even anti-scientific waters, taking such a broad perspective on things that it ceases to base its conclusions on evidence and instead uses social and political conjecture to shore up the beliefs of certain people and groups and score points against others. Some anthropologists (nutters, in my humble opinion) think science is just another social construct, a cultural force with no more veracity or connection to the real world than any other way of looking at the world and want to divorce anthropology from science altogether. This kind of thing happens. Nonsense pops up in all fields of science. Physics had N-Rays. Biology had Lysenkoism. Chemistry had alchemy. Psychology had (still has, really) Freudian psychoanalysis. The presence of nonsense in a field of science is not enough to discount that field's utility. My perspective is this: there is a spectrum that goes from "the softest of soft sciences," anthropology, to what we may kindly call "the hardest of hard sciences," physics, on the other end. Scattered along this line, left to right, we have things like sociology, psychology, geology, biology, and chemistry. The difference doesn't lie in how "sciencey" one side is vs. the other but rather in the methods that must be used to study the topic at hand and the error bars that must, by necessity, be put around those methods. At one end, cultural anthropology uses biased human observation to help understand the human condition. Cultural anthropologists do their best to remain as neutral as possible, but being completely detached is not possible, and maybe not even desirable when studying other humans. There are big, wide error bars around lots of what they discover, and it is highly open to questioning and interpretation. We require more tiny explosions! On the other end, we have particle physics, the standards of which are perhaps captured best by CERN's discovery of the Higgs Boson in 2012. 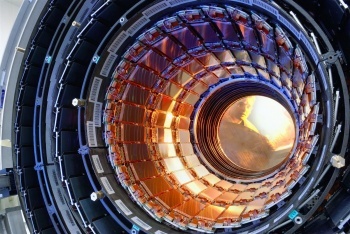 The Large Hadron Collider detected a particle that matched the hypothesized properties of the Higgs to 99.9999% confidence, and that margin of error was still too big for the physicists, who didn't claim that it was the Higgs without further confirmation. Both of these methods are necessary to study the topics they're studying. You can't observe particle interactions in real time while keeping notes in a journal, and you can't slam humans together at near light speed in a particle collider to figure out what makes them and their culture tick (even though that gives me a great idea for a physics-themed horror movie). The fact that one produces more secure, repeatable results than the other is an artifact of the way each topic must necessarily be studied. The temptation for some on the "hard" end is to reduce everything to the left down to physics, and without a doubt a lot of it does reduce like that. The temptation for some on the "soft" end is to utterly deny the physical, chemical, and biological forces underpinning the lives and behaviors of human animals. And to an extent, complex systems like culture probably can't be reduced completely to the movement of particles and energy. These debates will never go away and they are healthy. They represent the process of science and the tendency of humans, ever curious, to see the world through their own perspective. That the debates are happening in the first place means that those blinkered, single-person perspectives are breaking down, being forced to take in a wider world. Science, whether soft or hard, is, at its core, human curiosity in its most focused form. Earlier I posed some questions about the ancient seafarers who populated South America. Why did they do it? What drove them away from home? In my most romantic moments, I like to think that it was that very same curiosity. They may not have formalized that curiosity as we have, but perhaps they left home merely to see what was on the other side of the horizon, to explore new vistas and learn more about the world, to broaden their perspectives. In doing so they laid the groundwork for future civilizations in more ways than one. At Home Experiment 3: BOUNCY BALLS!